Advertisement: We can promote your business, event, project through our platforms. Our reach is over 20,000 monthly readers/viewers. Web traffic: If you have an existing website, we can help you increasing website traffic and create more interest or leads for your business, project or event. Business facilitation: We can help connect business operators within Australia and between Australia and Africa. AMA encourages African-Australians to support African businesses around the country buy using their services and buying their products. This will help advance our communities and create employment for Africans, especially the our youth. AMA works with many African businesses and professionals in different fields. We promote their services and refer clients to them and in return they pay for these services to help us meet our needs as an organisation. If you need help with any of the above services or if you are a business and you want AMA to send you leads, please contact us by clicking here. 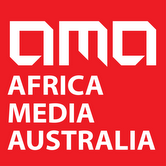 You can also email us at info@africamediaaustralia.com or Call/SMS: 0437724469. AMA is committed to helping members of the African-Australian communities excel and prosper in any line of business. We offer affordable promotional services and we charge affordable fees. Our reach into the communities (around Australia) is approximately 10,000 readers/viewers per month (directly) and through our partners (community groups, community media and leader’s email database and newsletter) we can reach 100,000 for any given promotional campaign. Become an AMA partner today and work with us to support our work while we support yours. Contact us by clicking here.